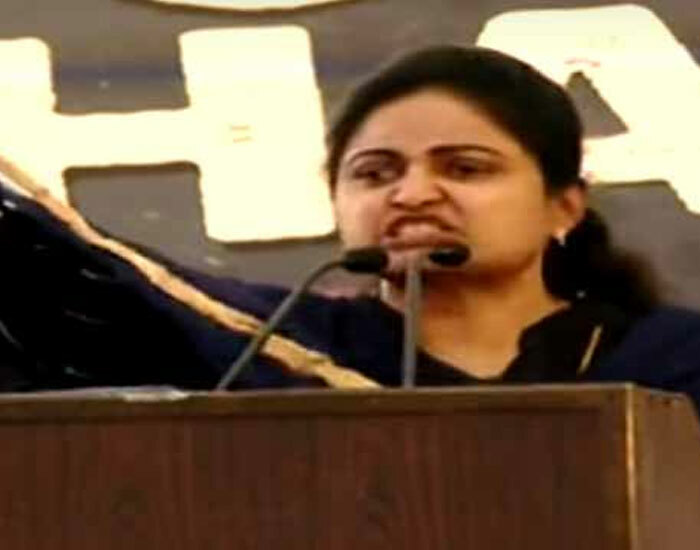 Veteran Heroine Comedy Speech at Naidu Deeksha! The AP CM Chandrababu Naidu's one day deeksha in Delhi on AP's special status issue has been ended on a happy note. This particular deeksha entered history books as the TDP is alleged to have spent Rs.10 crores which is said be be an all time highest expenditure in India's one day agitation's history. A good number of leaders from TDP and Congress delivered their valuable speeches during deeksha. Especially, TDP has found a new firebrand in the form of Divyavani. Divyavani is a veteran heroine who played female lead in Rajendra Prasad's Pelli Pusthakam. Addressing to the gathering, Divyavani narrated a different story on backstabbing issue. "Divyavani's speech was the best hilarious moment in the entire comedy episode of CBN's costly deeksha," opined some political analysts.